The Indoor 4 is a good starter table and offers a comfortable playing experience thanks to its detail solutions - mainly for families. 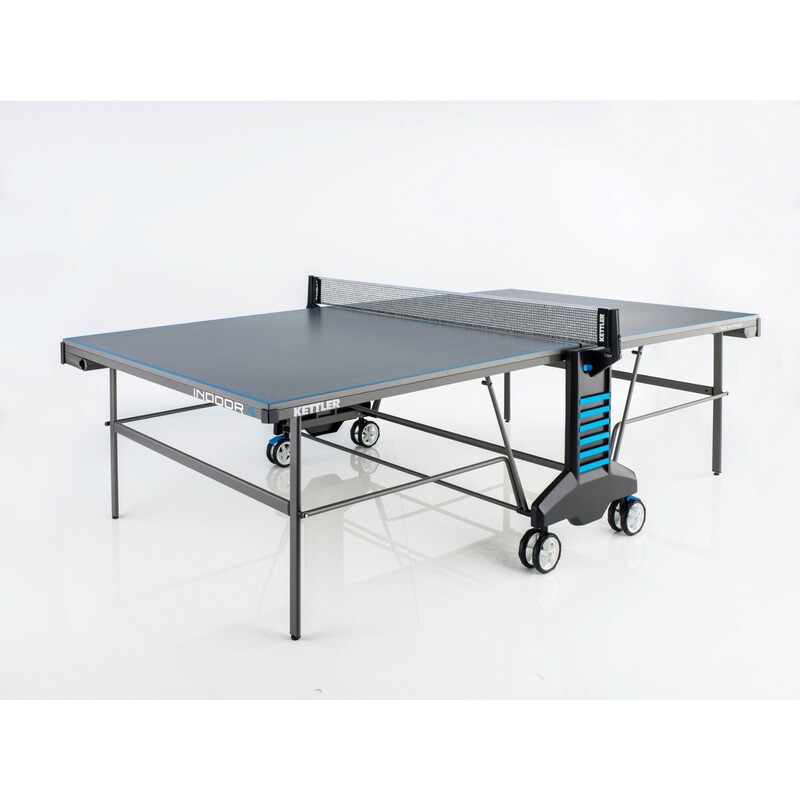 The Kettler table tennis table Indoor 4 is a good starter table, which is equipped with latest detail solutions of Kettler. The ball boxes on the front can be filled with up to 10 balls and distinctively reduce the wait between the rallies - and can be taken individually. Elastic straps on the net posts offer storage space for bats and drinking bottles. The Indoor 4 is equipped with easy-to-mount softtouch edge protectors, which protect legs from injuries and bruises especially when running around. Due to double wheels, the table is also easy to move for younger players and offers a great flexibility. 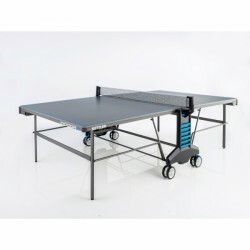 Kettler table tennis table Indoor 4 add to comparison list.